The Indian medicine studies curriculum has finally decided to take a twirl after 21 years. After a colossal gap, the new curriculum for MBBS has been drafted by the Medical Council of India, which will aim at inculcating empathy and globally pertinent knowledge in medical professionals. Till now, the curriculum framed in 1997 has been in use. As per the sources, the newly fabricated curriculum finalized on 09th November 2018, Friday, is said to come into practice from 2019-20 academic session. 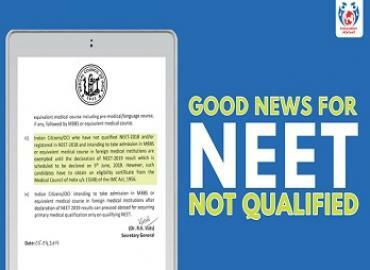 As per the leading daily The New Indian Express, after much deliberation and diligence, the MCI framed the new MBBS curriculum over a period of 2.5 years. Great emphasis during the period was put to make sure the curriculum is in accordance with global scientific advancements and an in-depth study of the emerging diseases. 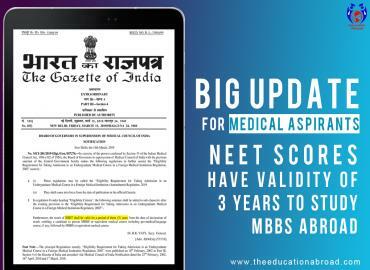 The new curriculum holds an interesting title, “Competency-based UG curriculum for the Indian Medical Graduate” and the draft was submitted to the Ministry of Health and Family Welfare. Furthermore, the oversight committee has approved the curriculum in principle and all major notifications mentioning the same will be out soon. It is also worth observing that the old curriculum has been swapped with the new one as it focused on only one domain of medical education i.e the classroom based routine learning. Considering the consistent advancements in the medical field and to make the Indian medical professionals at par with the international standards, the new MBBS curriculum is said to have a distinctive focus on Practical Training, Attitude, and Ethics. Chairman of Board of Governors, Dr VK Paul in a recent event cited to the National daily The Tribune, “The curriculum has a course called Attitude, Ethics, and Communication (AETCOM) which will run across years. Students will be assessed for how they communicate with patients, how they counsel people for organ donations or other challenging procedures; how sensitively do they often care and obtain consent. All these things will count along with competencies and skills”. 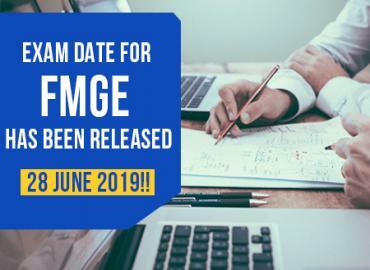 MBBS course from the next session onwards will begin with a two-month ‘Foundation Course’ rather than jumping straight away into fundamental subjects such as anatomy, physiology etc. The foundation module will aim at orienting a medical student to MBBS programme. It will also include other necessary skills such as language and communication. 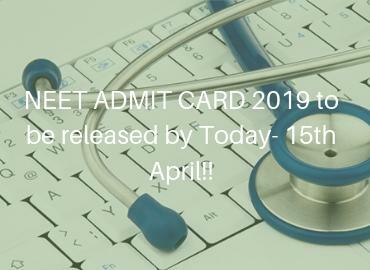 In the present scenario, students receive clinical exposure in the second year but with the introduction of new MBBS syllabus, students will start getting the same from the very first year. Students will be able to study subjects of their choice. The Introduction of action packed MBBS course curriculum is a welcome move all across the country. The lack of qualified medical professionals and the pitiable doctor patient ratio in India is expected to be fulfilled by the qualitative changes made in the curriculum. Greater emphasis on practical knowledge and adoption of student centered teaching processes can be a game changer in improving India’s healthcare system for sure.